Happy Valentine's Day everyone! A heart cut out velvet dress is only appropriate for this romantic occasion! 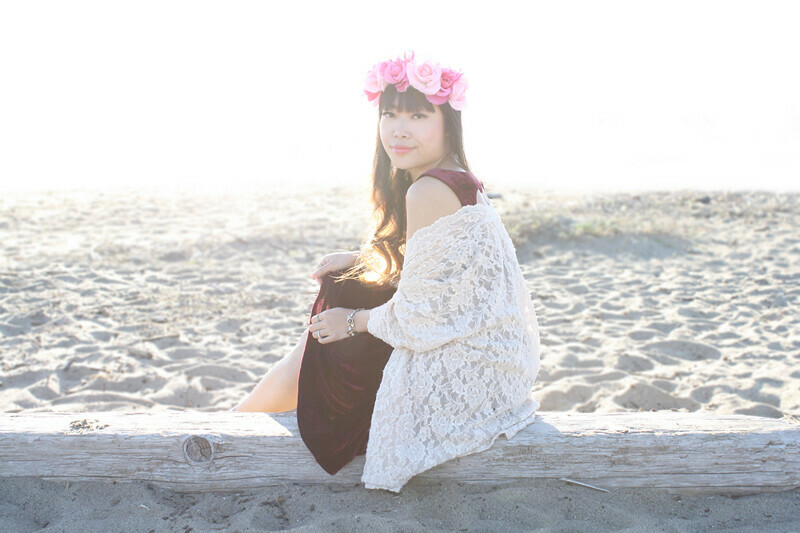 I made a flower crown with pink and light pink roses to go with it since the front of the dress is rather simple. 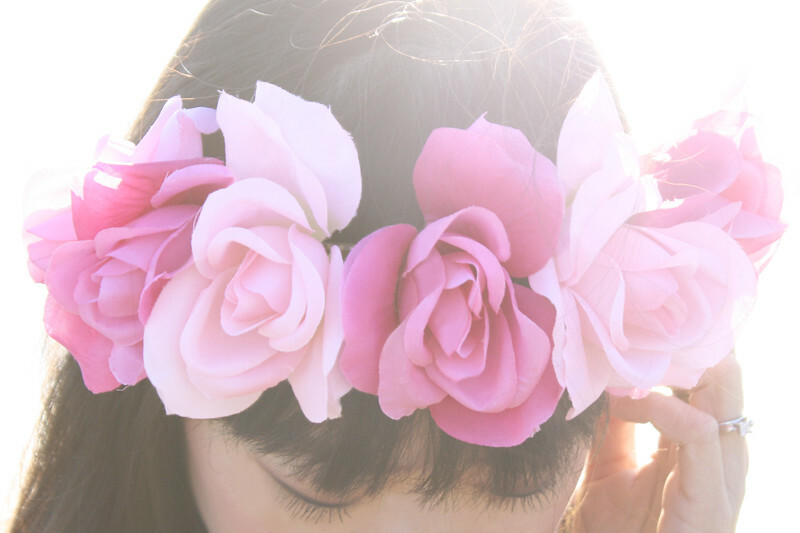 Lately I have been really into making these flower crowns, you can expect to see more of them soon! I want to dedicate this post to all my lovely readers who have been supporting me in the past year and a half. I really appreciate every comments filled with kind words, suggestions, and encouragements. I love you all! Heart cut out velvet dress by Rehab from GoJane. Vintage woven leather t-strap flats by Footworks from Etsy. Flower crown handmade by me. 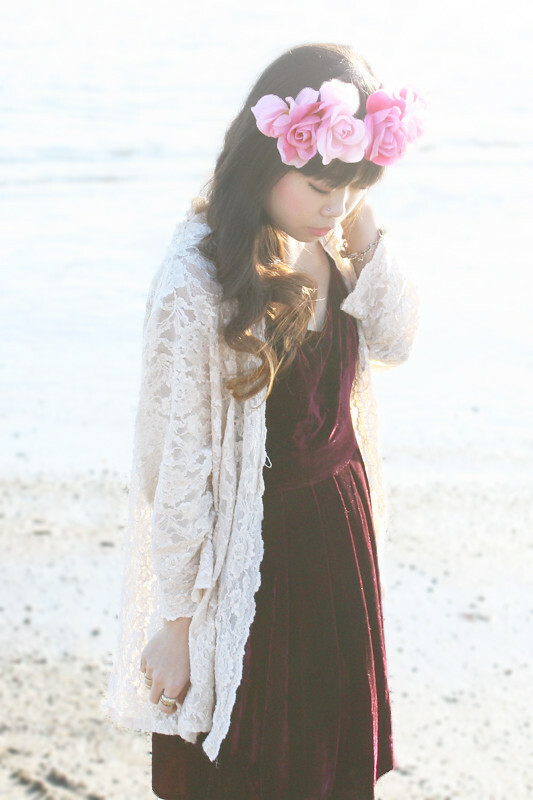 Soft velvet, pretty lace, and a floral crown are the perfect things to wear on the day of love! :) Happy Valentine's Day! I used to hate velvet, now it is one of my favorite things! Ps this dress is amazing! you are so ready for this day! very lovely ! Hope you'll have a great one! This heart cutout dress is gorgeous and I love the lighting in these pictures. You look so romantic and pretty! LOVE THE LIGHT OF YOUR PICS!! HAVE A LOOK TO MY LFW POST! this post is one of my favorite!